The prized 2018 Rolls-Royce Phantom VIII was the first standard wheelbase model to be produced. The Naples Winter Wine Festival is the kind of place where wealthy senior citizens go to flee cold temperatures and their annoying grandkids, but most importantly, buy some darn good wine. And if the opportunity presents itself, a Rolls-Royce, too. You know, for bingo/date night. 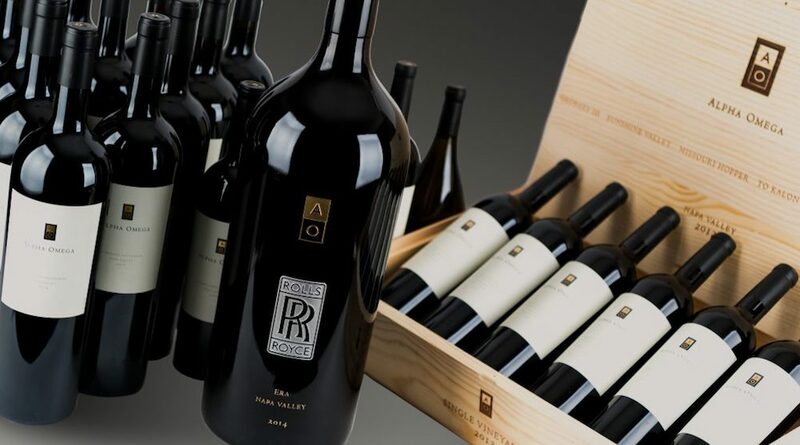 The popular wine festival recently auctioned off the first standard wheelbase Rolls-Royce Phantom VIII ever to be produced, along with some extra goodies like a six-liter "RR" wine bottle, a 12-month membership to Alpha Omega’s ERA Elite Wine Club, a private library cellar tasting experience, and some 25 or so more bottles of wine. Festival-goers Jon and Bonnie Mason from Dover, Ohio were in the mood and must've said, "Why the heck not?" so they threw down the ridiculous amount of $780,000 for the Rolls and the wine. 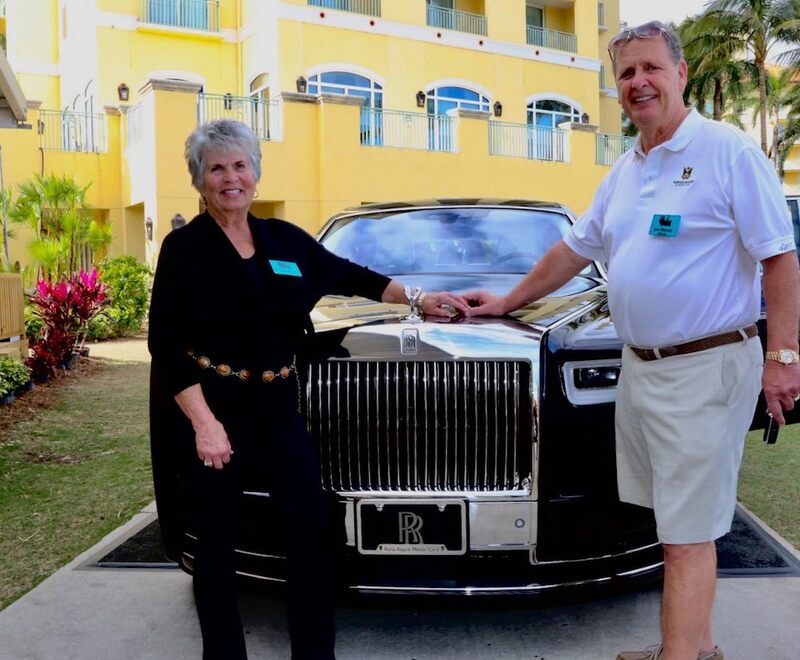 According to the auction rules, the winning amount would pay Rolls-Royce Motorcars of Naples for the (undisclosed) price of the Phantom, and the remainder would be donated to the Naples Children & Education Foundation. 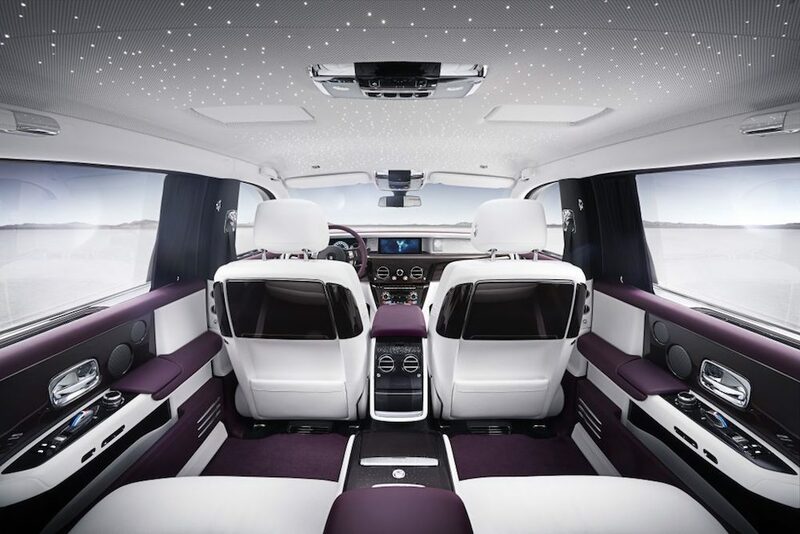 The first-off Phantom VIII is finished in a stunning Belladonna Purple exterior with a contrasting Arctic White interior. Under the hood, it features a twin-turbo 6.8-liter V-12 engine that produces 563 horsepower and 664 pound-feet of torque, which propels the 5,840-pound Rolls (and all the wine in the trunk) from zero to 60 mph in just 5.3 seconds. The massive sedan starts at around $450,000 to $500,000, which means the Masons paid a hefty premium for the extra goodies. 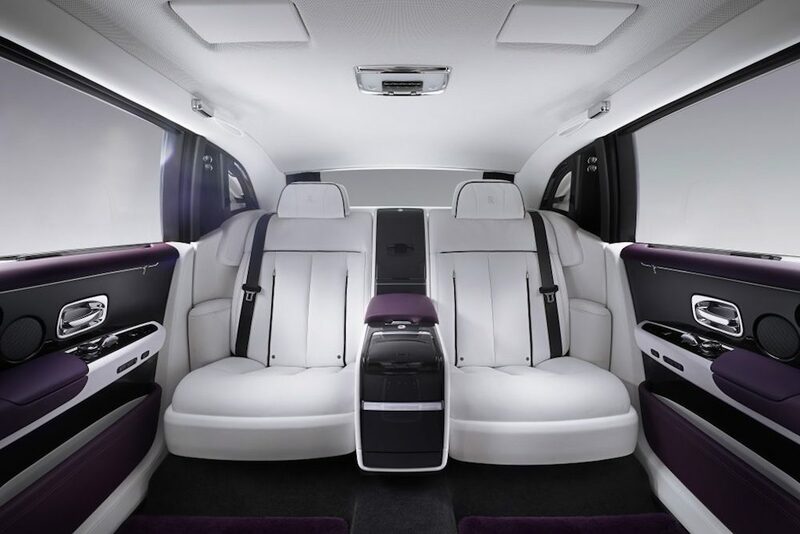 The all-new Rolls-Royce Phantom represents the eighth iteration of the opulent sedan, which through the decades has transported some of the most famous (and hated) men and women. Whether Hollywood stars or dictators, chances are they've done their fair share of commuting in the back of a Rolls-Royce Phantom. An announcement regarding the car's final name will reportedly happen in the first quarter of 2018. The partners want to have a demonstrator ready by 2020.